We don’t have any real way of obtaining solid sales numbers from Amazon with regard to the Kindle line. They simply don’t choose to make that information public. Still, analysts are generally able to make decent guesses on how the devices are doing and where they stand with regard to the competition. According to Cowen analyst Kevin Kopelman, things are not looking up. Kopelman, who had previously estimated that sales of the Kindle Fire tablet in 2012 would hit approximately 14 million units, has lowered his estimates to 12 million. He calls his previous numbers “unrealistic” in the wake of Google’s strong competition. Along with this revision, the Cowen analyst has revised his expected growth of the eReader side of the Kindle line from 30% to 3%. Factors such as Amazon’s focus on pushing the Kindle Fire to the exclusion of everything else and the long wait in getting a front-lit eReader to customers are cited as important considerations. This may change depending on consumer reactions to the anticipated Kindle Fire update, of course. We don’t have any real information yet and it has to be assumed that Kopelman is similarly in the dark regarding the specifics of the new design. This didn’t stop him from mentioning the rumored iPad Mini in his analysis as a source of competition, but even imaginary Apple products often require special treatment at the moment. The idea that the Kindle Fire will be completely wiped out by its Nexus 7 competition is far fetched at best. If Amazon never released a hardware update to the current model, that might be possible. As it stands, however, there is every reason to believe that significantly more is being done to make owning the next generation of Kindle Fire even better than owning the current one. Add into that the benefits of the tablet’s integration with Amazon services and you have a recipe for ongoing success. To be fair, Kopelman’s report doesn’t disagree with this. He simply indicates that another 7” Android tablet is taking up consumer attention. That is going to happen. Will Amazon always be the best selling brand in small tablet design? Probably not, given their interest in creating devices for fairly narrow use cases. Take this for what it is. Amazon will still be doing just fine with their tablet sales, they just finally have some impressive competition at the same price point. 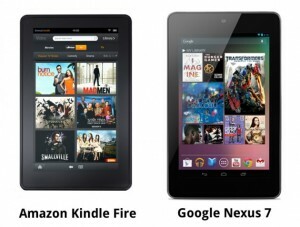 The Nexus 7 could be the Kindle Fire’s Nook. Competition always brings out the best in situations like this. Short of somebody else coming in and completely destroying the budget tablet market, which is unlikely in the case of either Apple or Microsoft despite the impending release of Windows 8, Amazon is going to be invested in things here for the indefinite future. That means more Kindle Fire sales, more features, and more reasons for customers to be interested. This is a company known for its customer satisfaction, which makes it especially unlikely that they’ll drop the ball on a major product push like this. While it may not precisely stack up against Apple’s recent announcement of their 25 Billionth App download, Amazon’s App Store has a new success story in the form of Kindle Fire game publisher G5 Entertainment. They have recently announced their millionth download for Amazon’s new table in a report that also listed the company’s total downloads over the length of their business at over 40 million. 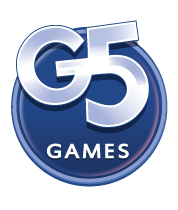 G5 develops and publishes a fairly large selection of casual game selections for mobile platforms and PCs including both Android and iOS, and since the holiday season of 2011 has seen notable success in their releases specifically for the Kindle Fire. The same release from the company notes that six to eight of their first twelve releases are constantly present in the Amazon Appstore’s Top 100 Paid Games. We have had indications from some analysts for a while now that despite the added complications for app developers when dealing with Amazon’s guidelines and review process, apps sold through the company’s store are likely to make significantly more money than even in the general Android Marketplace. Considering other analyses regarding the Kindle Fire user’s likely spending habits across the life of their device, it makes sense to specifically target this portion of Amazon’s user base in an effort to efficiently appeal to the most profitable audience. If nothing else, the evidence of success in this case would seem to justify the approach. While the Kindle Fire is not primarily a gaming console in the way Nintendo and Sony’s portable video game systems are, there are a number of popular casual game genres that are easily adapted to the low power touchscreen device. In the case of G5, many will likely be familiar with their Hidden Object, Puzzle, or Time Management game. Their titles tend to favor an addictive but quick format that allows the user to step away as needed with no trouble and pick up again in a free moment without confusion. Perfect for the casual time waster, which fits the Kindle Fire’s status as a media consumption catch-all. It should be noted that at least one of G5’s games was released as an Amazon Free App of The Day. While companies do not get reimbursed for these offerings, they often make an appealing option for publicity when properly exploited by the developer. This was an especially good move for once, since it allowed for the inclusion of the G5 Games Navigator as a portal for every customer to download the game. While it clearly opened the door to tens of thousands of downloads that did not directly earn the company any money, many of these were also from users that may not have taken an interest otherwise and who are now presented with suggested purchases in a move reminiscent of Amazon’s own sales methods. The Kindle Fire is going to be a big deal for some time to come, despite any potential competition arising in the near future. It is a big market for Amazon to tap and they are unlikely to let it slide away. News like this just helps to confirm for developers that there might be something to their product specifically besides as just another budget Android tablet. As we learn more about the next generation of Kindle Fire, chances are good that it will only get more distinct from the competition and hopefully this is a sign that it can be even more profitable in some cases. Not too long ago, Amazon(NASDAQ:AMZN) announced that they were finally officially selling more Kindle Edition eBooks than they were print books, even discounting free book downloads. It was a big deal and, I think, still is. It indicates changing perceptions of what a book is to a reader at the conceptual level. I’m not saying that the battle is won or anything, but milestones matter. Since that time, people have reacted in a number of ways. Publishers have expressed skepticism, which makes perfect sense given their level of investment in keeping eBook prices as high as possible. People like me who are fans of the Kindle, its associated platform, and the community building up around it have expressed the obvious enthusiasm. I’m not claiming a lack of bias on this point. At least one analyst, a Michael Norris, has publicly called the claim “obnoxious” and expressed the opinion that the whole announcement was a publicity stunt made possible by taking things completely out of context. Context is indeed what matters here. Norris goes on to express the opinion that Amazon must be padding their numbers with some apparently astounding sales from the popular Kindle Singles program. While I’m skeptical of the claim that the Singles are where Amazon is making most of their sales, having looked through the selection more than once, it doesn’t really matter. The fact that the Kindle Singles are shorter doesn’t make them “not books” in my eyes. Really, I don’t think it does for this guy either. I believe what he is objecting to is the fact that a product selling for $0.99 can hold as much weight as a product going for $12.99 when it comes time to compare sales. He comes out and says “Obviously, when you’re selling units so inexpensively, you’re going to sell more of those than, for example, a $14 paperback print book” and thinks he’s making a point against eBooks. This gets to the heart of the matter, and I think it explains the difference between what customers want to know and what publishers would like them to know. As a reader and buyer of books, both electronic and otherwise, I am more interested in the number of copies being sold than I am in how much profit somebody is making off of them. I’m not a stockholder. If somebody tells me that in spite of 20% of all book sales in a year being eBooks only 5% of a specific publisher’s income came from them, I wonder what that publisher was doing wrong, not what is wrong with eBook loving customers. What I’m trying to get at is that saying that the numbers are misleading just because they address an aspect of the transition to a new medium that you don’t like is not cool. Yes, this is a different context from what you may be used to, but it is not out of context. If anything, it highlights a more relevant piece of information about the new publishing business than most other things I have seen. Is the announcement a bit self-serving on Amazon’s part? Of course, or why would they have made it? It wouldn’t be useful, though if it didn’t tell people something they wanted to know. The Kindle is doing well, possibly better than anybody could have expected at this point, and whether or not that had to do with Kindle Singles it seems that people were interested enough to take notice. Long before we had the Kindle to play with, Amazon was still making a big impression in book sales. They got started over 15 years ago now and in that time managed to become the number one destination for anybody wanting to pick up reading material. This in itself is an amazing achievement for any company. Then, 4 years back, they introduced the Kindle. A good situation got better. In these four years, Amazon has brought the eBook from a fad to a point where sales of electronic texts exceed those of print books in their entirety. That’s right, it finally happened. Since April 1st, Amazon’s Kindle Store has sold 105 Kindle eBooks for every 100 print books they have sold in any format. We knew it was going to happen eventually, of course. First they outsold hardcovers last July, then paperbacks six months later, and now this. The speed of the progression is as impressive as the accomplishment itself. To put this in the proper perspective, a couple things need to be kept in mind. For one, all of these milestones I mention were factoring in only paid sales. The free editions that tend to be the first selection of the new Kindle owner were left out for obvious reasons or else this probably would have happened a while back. Really, how many people make their way through all their free downloads though? Also, given the timing, this clearly came prior to and had nothing to do with the introduction of the discounted, ad-supported Kindle w/ Special Offers. This means that you can’t consider this more widely appealing Kindle offering to be part of the trend when Amazon lets us know that their 2011 Kindle Edition sales to date have been more than three times those of 2010. When you consider than in about a month the Kindle w/ Special Offers has become the best selling member of the Kindle family by far, the trend seems poised to continue. The Kindle Store is now home to over 950,000 titles, including 109 of 111 current NYT Best Sellers. The vast majority of these titles are priced under $9.99, including the aforementioned Best Sellers. Again, these numbers don’t even try to factor in the millions of titles that are available for free due to expired copyrights or the many books available through other sources that can be used on the Kindle. On top of this, new titles are being added all the time including many from Amazon’s successful self-publishing platform. Over 175,000 books have been added to the store in 2011 alone. We’ve known for a long time that the eBook was on the rise. It was only a matter of time before it became the dominant format. While this is only citing the success of one retailer, Amazon is leading the way. They have localized stores in multiple countries, are steadily expanding, and continue to distribute the most popular eReader on the market in spite of steadily increasing competition from tablets and competing eReaders. Even without the upcoming Kindle Tablets, the Kindle is demonstrating an ability to keep up the momentum. According to a December survey of internet users conducted by J.P. Morgan, nearly a third(28%, to be exact) of these users either own a Kindle or have plans to purchase one in the next year. This would definitely seem to be held up by the record breaking sales that Amazon reported for the holiday season. Even given the impressive numbers already, and the high expectations for the year to come, it is hard to picture a third of the internet having their hands on any eReader, even the Kindle, but it’s definitely a reassuring number for fans. In terms of cross market interaction, for lack of a better way to put it, ownership of the iPad seems to have significant crossover with that of the Kindle. The report states that 40% of current iPad owners surveyed already own a Kindle and an additional 23% are planning to pick one up in the next year. While many assumed that Apple’s full-color, multifunction device would be the death of the Kindle due to its versatility, there ended up being less of a Kindle vs iPad situation and more of interest in the unique capabilities of each. And, of course, for those who don’t have themselves a Kindle in hand yet, there’s always the Kindle for iPad app, so all is well in the eReading world I suppose. The Nook didn’t fare quite so well among respondents. Only about 45% of those surveyed had any knowledge of the product’s existence compared to 76% for the Kindle and 84% for the iPad. While it was still a bestselling product for Barnes & Noble, and it was certainly helped along by the ability to demo the eReader in stores nationwide, as of yet there seems to be no real Kindle vs Nook competition when it comes down to market saturation. Part of the failure to take the edge over the Kindle could be attributed to the increasing availability of Amazon’s eReader in brick and mortar locations such as Target and Best Buy. Regardless, the numbers just aren’t quite there yet for what is widely considered the second-best eReader on the market today. With eBooks taking off as they have, it’s never been more important for booksellers to be aware of the options available for future endeavors. Amazon has obviously established their place as the most prominent distributor of eBooks on the net, as well as building an excellent variety of ways to view them. Basically, after them everybody else is struggling to catch up. There are some great pieces of reading hardware coming out these days, and some interesting offerings in terms of media, like Google eBook, but the only line that really seems able to hold up both ends of things securely has been the Kindle. It isn’t the only option, of course, but it is the one that best combines convenience of use and purchasing with a great interface and reliable equipment. We’ll have to wait and see where color eReaders take us in the near future, but for now it seems like this would be a hard act to catch up to for anybody. Early on, analysts were guessing that the Kindle had about 5 million sales in its 2010 future. Overall, an impressive gain after Amazon(NASDAQ:AMZN) managed about 2.4 million last year (according to anonymous report since Amazon doesn’t disclose sales figures on this). Current estimates, however, have the projection set at an even more impressive 8 million units by year’s end. We obviously knew things were going well when we heard in October that the new Kindle, only released in July, was already outselling last year’s fourth quarter Kindle figures by a noticeable amount, but the numbers are even more exceptional than anticipated. It’s been an interesting year for eReaders in general. The Kindle‘s chief competition, the Nook, went color(perhaps prematurely, perhaps not, depending on your point of view), the iPad has successfully carved a huge place for itself in the portable computing marketplace and paved the way for an entire Tablet PC industry in the process, and eBooks have become so commonplace that it is actually harder to find something with a screen that you can’t read on than it is to find a way to read your new book. There was some concern expressed, quite loudly at times, that the stand-alone eReader was a thing of the past with the coming of the tablet PC and the Kindle vs iPad debates. Some people were convinced that two such devices couldn’t coexist. This has obviously not panned out, in spite of Apple’s impressive sales figures since the April debut of the iPad. It seems clear that the demand is only going to grow for some time yet. As for the Nook Color, time will tell. It’s certainly a neat addition, even if some see it as less than ideal for its primary purpose, and given how great the Kindle vs Nook competition was as a spur for development in the eReader marketplace, we can hope that it will do at least well enough to stay in the game. What makes this whole trend even more useful for Amazon is that the Kindle isn’t their only means of distribution. Even for those who don’t see a use in having something quite so narrowly focussed, you can’t avoid seeing the Kindle App line coming up wherever you need it. Projections put annual sales of eBooks at 2.8 billion dollars within the next five years, according to analysts. Right now, it looks like the biggest slice of that is heading through Amazon, whether to Kindle owners or not. While the format might not be what some people would prefer, Amazon choosing not to support the popular EPUB standard, this makes Kindle Editions one of the safest ways to be certain of your eBook purchasing. It’s just that little bit of extra reassurance if you know that you never have to worry about losing your files over a hardware crash or wrongly deleted folder, right? Basically, an all around great year for both the Kindle and the eBook industry in general. Hopefully projections bear out and we have even more to look forward to in the near future. Reading’s never been so convenient or accessible. With Christmas coming up, I noticed the news about Kindle is focused on predicting the number of Kindle sales during pre-Christmas shopping time. I also see some Christmas anticipation from the Kindle community – some folks cannot wait until the X day to give Kindle as a gift to someone special, others hope to find Kindle in their Christmas stocking, and a couple of people indulge in bragging about getting Kindle as an early Christmas present (most likely they were also the givers). Does the fact that Kindle is the best selling item on Amazon (NASDAQ:AMZN), magnify the urge to buy Kindle even more? Would it be the “herd-instinct” (kudos to Nietzsche for coining the term), i.e. 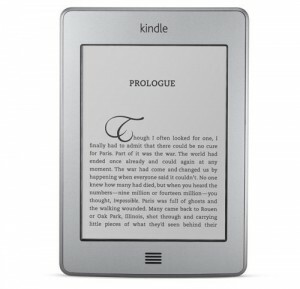 everybody has Kindle, therefore I want one; or it would be due to the belief – if so many people purchase Kindle then it must be good? Well, as for me – clearly, it makes me wonder. Who would we attribute the predicted numbers for Kindle sales – to the agile marketing strategy, or to Kindle’s superiority among the e-book readers? Mind you, the 8 million of future Kindle sales is a mere prognosis for now. Personally, I cannot wait to see if this prognosis will be supported by the facts after Christmas. 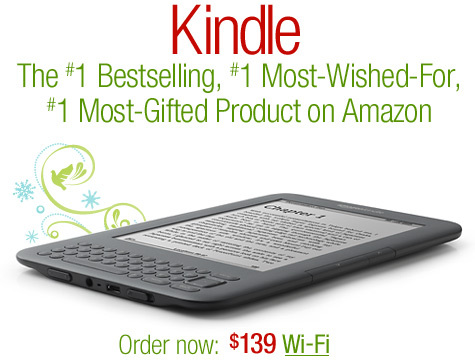 In any case, I am applauding to Amazon marketing team: the Kindle advertisement’s slogan is solid, strong, and concise. A recently released ChangeWave survey tracking consumer data in the eReading marketplace came up with some interesting results for Kindle enthusiasts this time around. While there was a lot of data, mostly demonstrating the justifiably increasing popularity of the iPad, there are a few specific pieces that are particularly interesting for those of us interested in the future of the dedicated eReader market. In looking at this topic, one of the things that it seems important to keep in mind, at least to me, is that the Kindle is essentially an eBook-specific reading device. Yes, it is nice to have the option to grab your newspaper or news feed on it, and I do these myself, but that’s not where the device shines, nor where it is really meant to stand out. If, for the sake of these surveys, we’re going to consider everybody who looks at a blog, a magazine, or a newspaper to have been using their device as an eReader, then that includes a lot of things that are peripheral to everything besides the iPad. Before anybody jumps down my throat on this one, I’m not claiming that there are no people who want an eReader to read their magazines on or that that’s an unimportant market, merely one that only one of the devices was ever really intended to take into account in the first place. When it comes to specifically eBooks, the current user base numbers reflect a different balance. This is perhaps the most immediately relevant bit of information to look at, for a lot of people. While we don’t have much to go on in terms of rationale behind these purchase decisions, it is very nice to see dedicated eReaders as a whole, and the Kindle in particular, holding a strong position here. Even with the iPad having the more diverse functionality, showing 42% for the iPad against 38% for dedicated eReaders(Kindle, Nook, and Sony) with as many as 18% of respondents undecided tells me the numbers are staying pretty close. This was the most interesting of the data sets to me, when it comes right down to it. In a survey of over 2800 respondents, iPad ownership doubled in just four months, while Kindle ownership dropped by 15%. This doesn’t mean that 15% of Kindle owners dropped their eReaders off at the dump or switched to the iPad, obviously, simply that a more significant number of people owned iPads or both iPad and Kindle devices. Not having a copy of the report on my desk at the moment, I can’t say anything certain about methods, but it would seem likely that you hit your participant numbers faster now that the iPad has really taken off, so Kindle numbers will appear to fall as a result. Does all this mean that the Kindle is on its way out? Nah. The market is growing and tablet PCs are going to take their share. If all you want to do is read magazines and surf the web anyway, it certainly makes more sense to have one of those right now than it does an eReader. For those of us who want to sit for hours with a good book in front of us, preferences are still pretty clearly elsewhere.